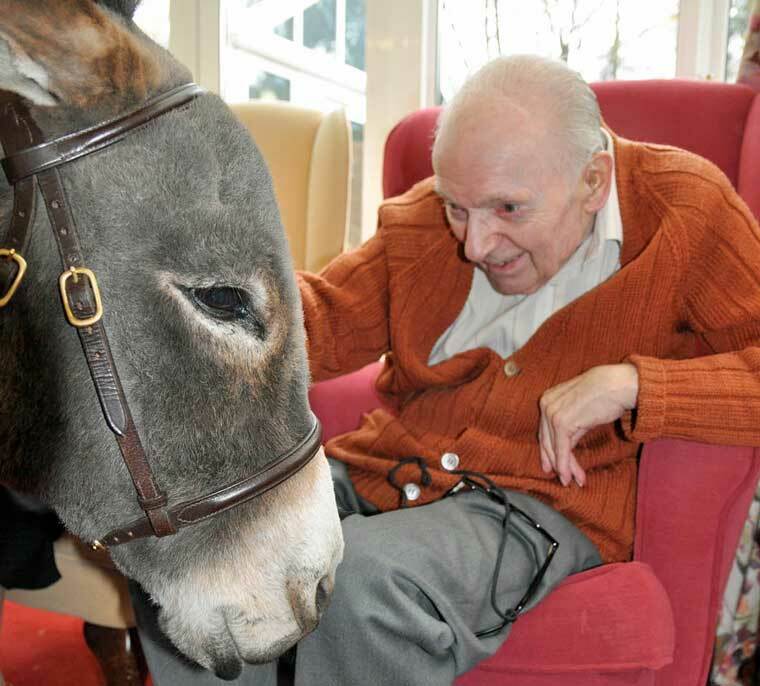 A little donkey spread festive cheer when he hoofed it into a Ferndown care home. Dressed in a red Christmas blanket, Willow, a Mediterranean miniature donkey, was happy to be patted and even have his fur brushed at the Colten Care-owned Amberwood House in Ringwood Road. Amberwood activities organiser Jan Burns, explained, “So many of our residents came along to see Willow today and were completely enchanted by him. The Donkey Sanctuary charity cares for donkeys that have been rescued from cruelty and also those brought in by owners who are no longer able to care for them. The donkeys are primarily used for riding therapy for children with additional needs but also as animal therapy for older people in care homes.